At The Fish Guy we are all about aquarium maintenance. 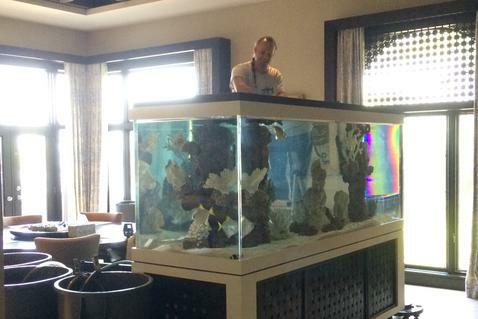 For over 18 years we have been maintaining your neighbors aquariums, why not yours?! We take pride in our service programs. We make fish keeping fun and exciting and an integrated part of your family or business. We are fully insured, licensed and even vendor approved by the Manatee County School Board. Altogether with all of our local experience and knowledge you can you can rest assured you and your fish are in good hands. Give us a call today, your fish will be glad you did!!! Web redesign by Digital Eel Inc.